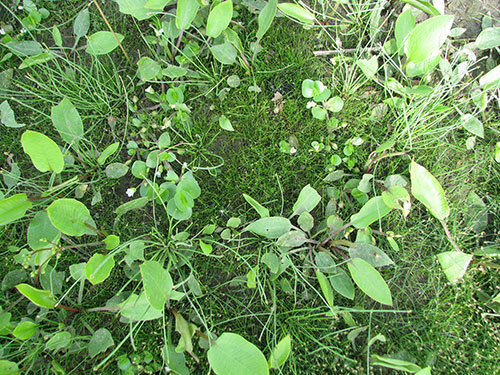 Bacopa rotundifolia, Water Hyssop, has been confirmed for the first time in Saskatchewan! 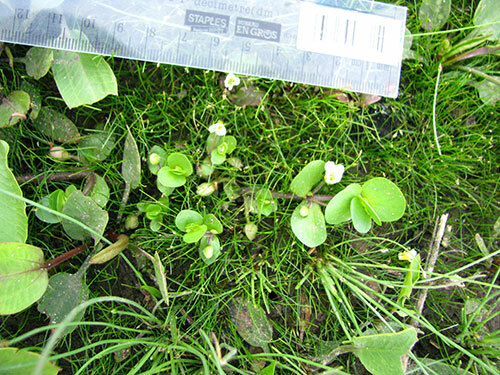 In 2013 the SKCDC received an email request containing photos for identification of an unknown plant species. It took some time to come up with a candidate species – Bacopa rotundifolia. This species, however, had never been verified to occur in Saskatchewan. In the world of botany, photos of course are not sufficient evidence for such a find, so in 2014 SKCDC staff set out to locate the site and successfully obtained a specimen which was sent to the W.P. Fraser Herbarium in Saskatoon. This species was found growing in the drawdown, mudflat zone on the margin of a wetland, in a crop, south of Weyburn. 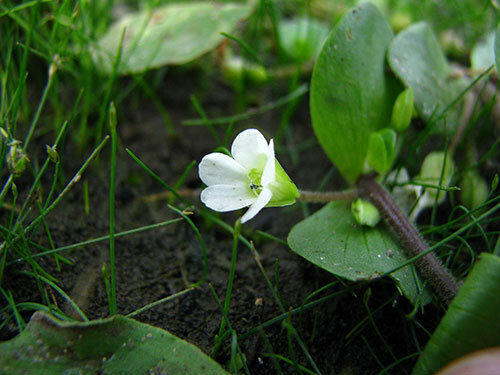 It was found to be flowering in early August in both 2013 and 2014. While little is known about this species in Saskatchewan, it may be threatened by wetland drainage and cropping practices. The original wetland site from 2013 was found to have been drained in 2014 and partially cropped, and no plants were found at that original site. With only a single known site in the province, this taxon automatically receives a provincial rank of S1. Future surveys will be conducted to gather more information on this species in Saskatchewan. This discovery provides evidence for the importance of remnant habitats for rare species within agricultural landscapes.